In the early morning hours of January 23nd, there was a serious house fire in East Norriton, Montgomery County. Since my volunteer role at the SEPA Red Cross began, I’ve been in the habit of checking the local news each morning. That’s how I saw the interview with the Montgomery County fire chief where he explained that the recent cold snap created some special challenges for the responders. It took a while to find a working hydrant. Water froze on contact with everything it touched: the grass, the pavement, the house. The hoses froze to the pavement and could not be moved once the fire was extinguished. Two fire fighters were hurt slipping on the ice. Two residents were hurt jumping out of a second floor window. It is safe to say that 10 degree temperatures made a terrible situation even worse, but the fire fighters were there to do their job and they deserve our admiration and respect. The American Red Cross Southeastern Pennsylvania was also there. Volunteers rose in the middle of the night to be at the scene and care for residents forced out into the cold. They were there with financial assistance for food, clothing, shoes and winter coats to four people affected by the fire. Frozen hoses are not the only challenging consequence of a cold snap. Cold and fire are old friends. When heating bills become high and un-payable, people take risks to create heat. Stove burners are turned to high, a space heater overloads a socket, and an oven is turned to 500 degrees and left open. 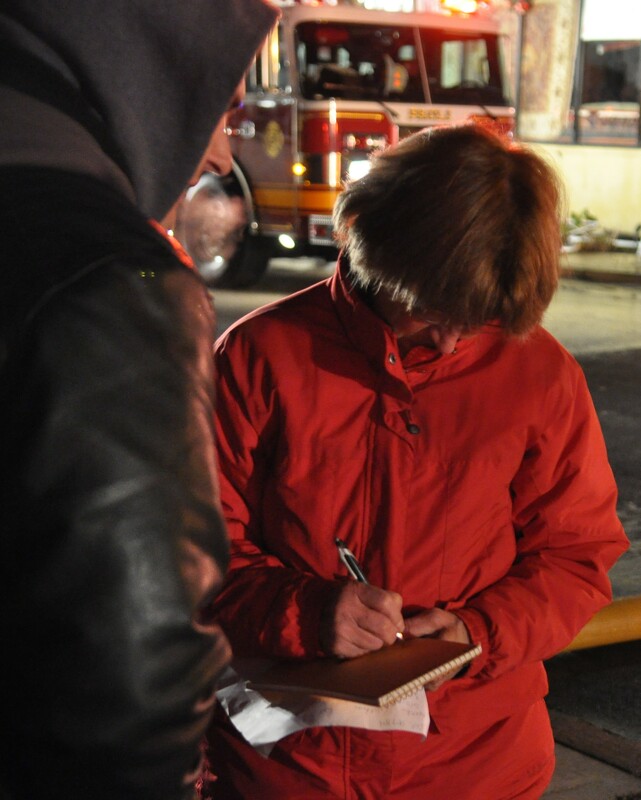 In the last few frozen days, our volunteers responded to 10 fires in all five Southeastern, PA counties. We helped 48 people who were forced out of their homes. In every case, Red Cross volunteers were there side by side with fire fighters to do the other half of the work: care for the people involved. Below is a video of a separate fire response, this one Friday evening 1/25/13 in N. Wales, Montgomery County. It further underscores the point made above.